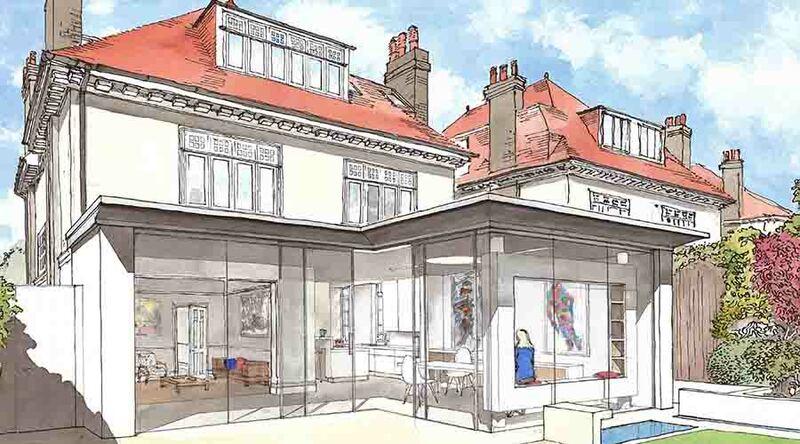 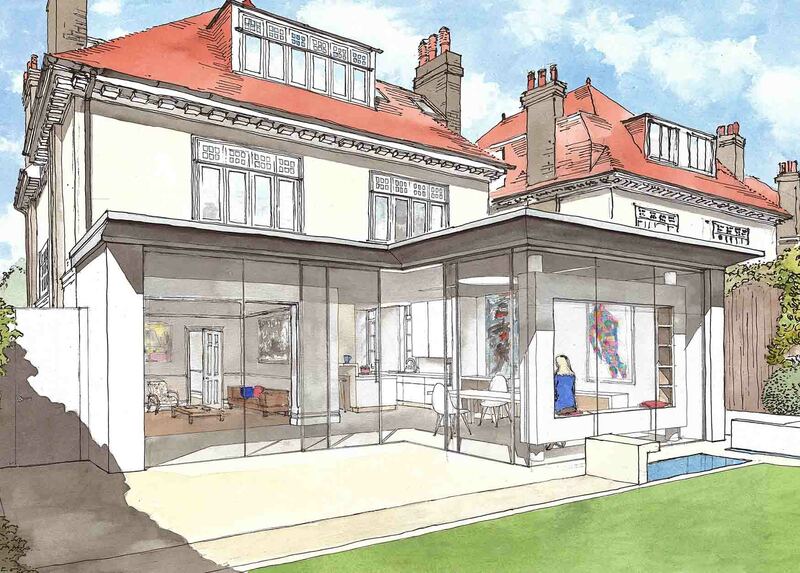 Inspired by the artist Donal Judd and the clients love of clean lines and simple materials the proposals set to replace a dated conservatory on an Edwardian Putney house with a fresh open living space. 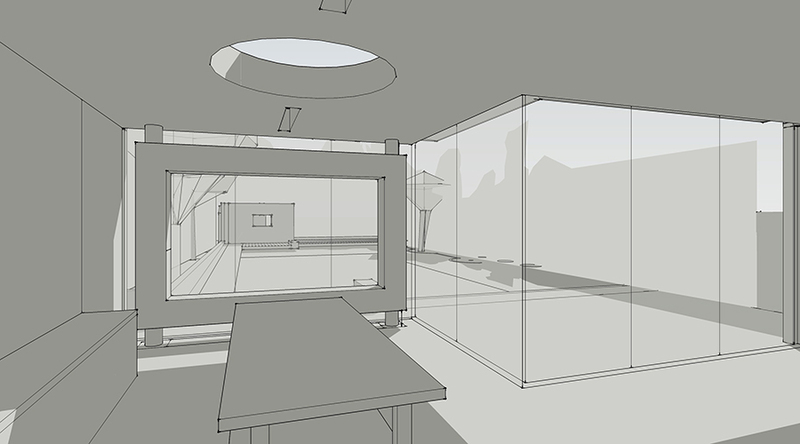 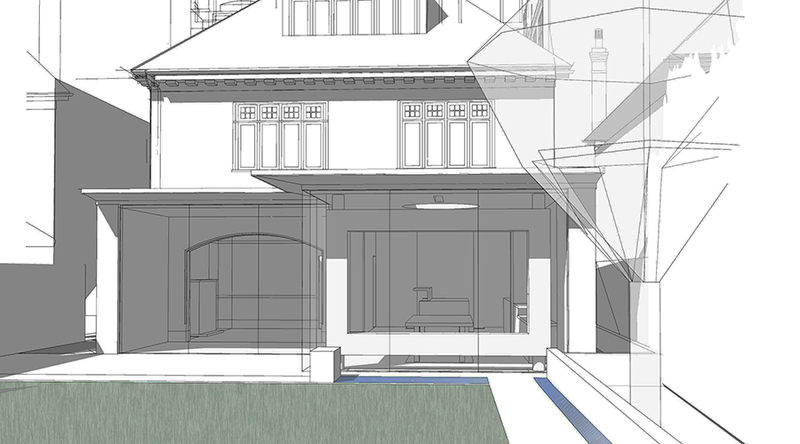 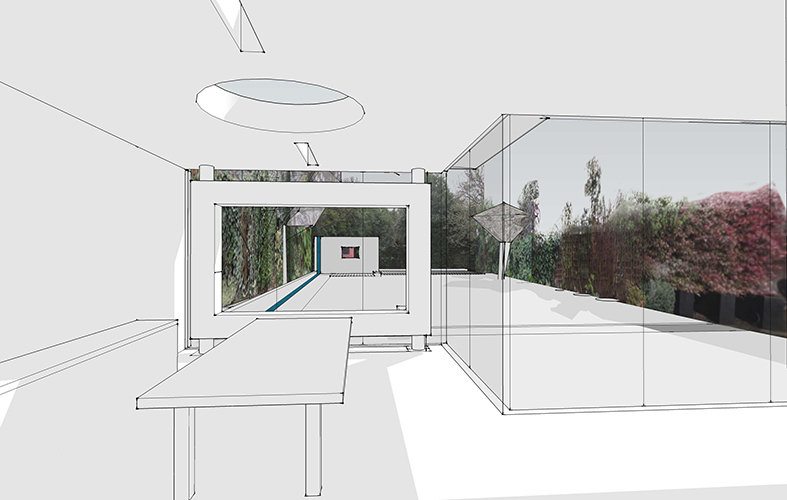 The design led with a strong vista from back of garden to back of kitchen, almost ignoring the full height glazing. 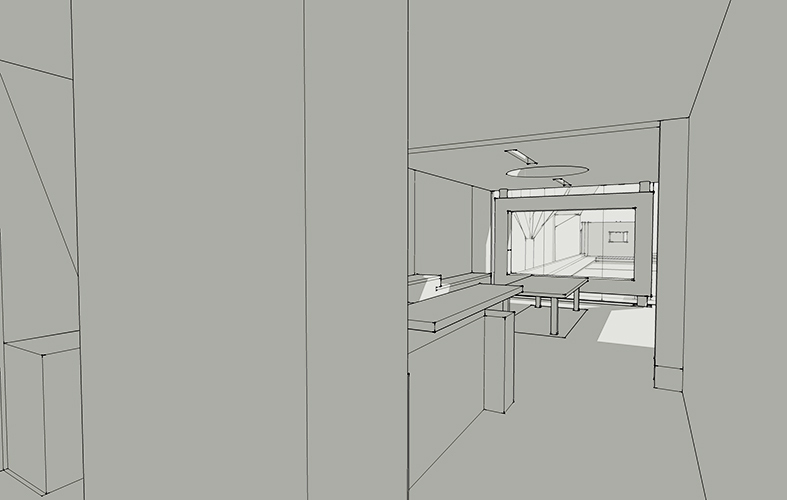 The client was keen to see an interpretation of window frame between the two spaces which led to an interpretation of a Donald Judd concept. 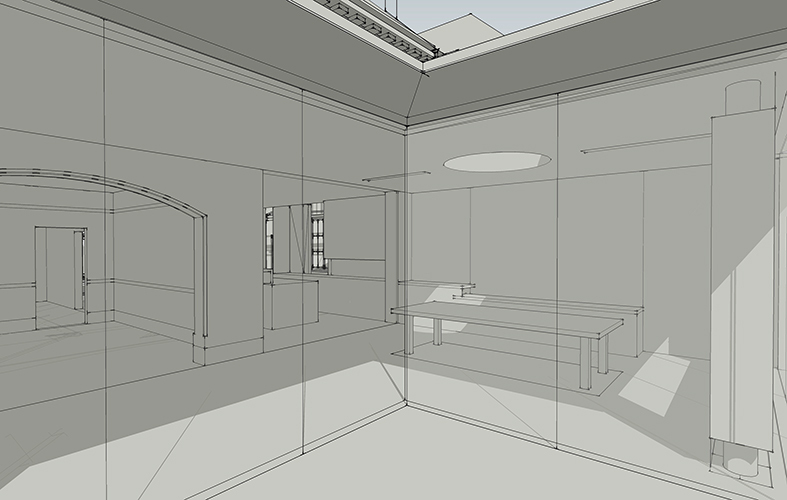 As well as this, the upper floors were re-arranged to reverse previous alterations and create rooms which referred correctly to the original windows. 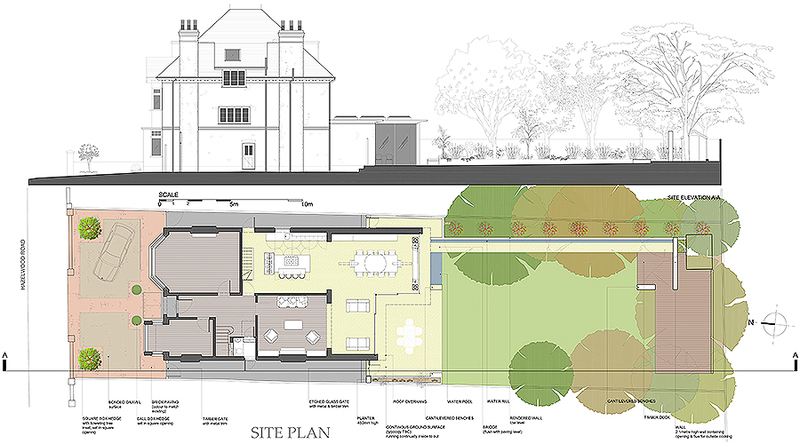 Planning was approved in 2014.